If you look at an astrological chart depicting the sky this month and specifically this week, you might be overwhelmed by the lines representing angles between the planets and the plethora of geometric shapes – mostly various sized triangles. It looks somewhat like a multi-colored and elaborate kaleidoscope, or maybe a Ferris wheel at the fair. With the exception of the Sun in Leo, Uranus in Aries and the Moon for a portion of the week, the primary astrological bodies – planets, the asteroid Chiron and the North and South Nodes of the Moon – are all in Water or Earth Signs. All three of the water signs and all three of the earth signs are represented. In some ways it's one big happy family because the water and earth signs are kissing cousins – they like and support each other. Even in the midst of some ongoing and fairly challenging energy (Uranus Square Pluto), there is magic! As you move through the week you will notice the dynamic interplay of water and earth – emotions and the physical body and universe. This is a week to honor your feelings and emotions and to be quiet. Make time to withdraw and reflect away from the chaos of daily life. But lest you believe the week will be boring, be assured there will be more than enough challenging action among the planets to stimulate the mind and inspire the soul. Be prepared. There is great potential for emotional, mental, spiritual and physical breakthroughs this week. Uranus in fiery Aries may not be part of this grand spectacle of trines and sextiles in the water and earth signs, but it would be naïve (and possibly dangerous) to count him out. He will be exerting his innovative spirit of revolution and change with a square to Mars on Wednesday and a brilliant connection to the Sun on Sunday. And a pair of provocative planetary aspects on Thursday (Sun inconjunct Pluto and Venus inconjunct Uranus) provides plenty of snap crackle and pop. It's the dog days of summer and the cosmos is sizzling! Until next week, let go and wear loose clothes. 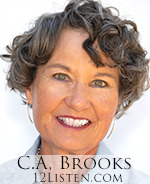 Program Note: Astrologer Julia Stonestreet Smith is back on 12Radio and this Monday she has promised to talk about the Grand Sextile in the Water and Earth Signs. 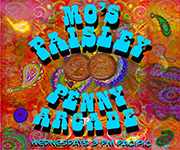 You'll find her in The Stonestreet Café on Monday's at 8am Pacific 11- Eastern. Money makes the world go round…or does it? We might be thinking a lot about money and our resources today as the Moon in cautious Taurus squares off with the Moon in proud Leo. Taurus is very conscious of money and stuff and tends to be risk-averse; whereas naturally self-confident and expressive Leo likes to draw attention to itself, even to the point of being flamboyant and if necessary a spendthrift. Easy lunar connections throughout most the day will probably make us feel pretty comfortable in the material world so even a little nagging voice in the back of our minds about being careful won't spoil our fun. This is really a call to being more conscious about our personal and community money and resources and to not turn a blind eye to the ‘hidden' costs. That ridiculously low price – is it the result of child labor in a third-world country? Does the chef or server at your favorite restaurant get vacation or health care benefits? It's not always possible to know every single detail about the chain of production or how certain businesses or organizations operate. But let's not kid ourselves – we are all in this together and maybe today we can take a few minutes to consider some of these issues and not pretend they don't matter. Yesterday's thoughtfulness about money and resources may go a step deeper today. The Moon is still in practical Taurus, and Venus – the planet which rules Taurus – makes a strong alliance with Pluto. When the planet of values and the planet of transformation get together we can expect deep and sometimes even profound results. This alliance is anything but shallow and superficial. Today it's easy to align our desires with our greater good. This is also good news about relationships as we are more willing to take personal responsibility for our decisions and commitments. Venus is associated with creativity, beauty and art – this is a fertile energy for great creative and artistic endeavors. Conversations should be smooth sailing today and especially this evening as the Moon in loyal and trustworthy Taurus makes a connection with Mercury in sympathetic and nurturing Cancer. Today on Simpletales – It's back to Astrology School with Planetary Aspects. This is one of the four pillars of understanding the magic of astrology. Join me and we'll cover the primary ones – conjunctions, sextiles, trines, squares, oppositions and inconjuncts. During the second half of the show we will be opening the phone lines for listener questions and comments. There is potential frustration and contentiousness in the air today so it's probably a good thing the Moon entered versatile Gemini this morning. Mars the planet of personal power and energy – currently in the sensitive sign of Cancer – squares off with radical Uranus in the spirited fire sign of Aries. Mars has been having sort of a tough go of it lately – last week it was in opposition to Pluto. This Uranus square is more of the same – well actually it's a similar genre. We may be emotionally tied to a particular strategy, behavior, or outcome and yet we find obstacles strewn in our path. The way may be challenging and yet not impossible. In fact, this energy is perfect for making personal breakthroughs. Square aspects – especially between significantly powerful planets can build up a dynamic tension that when released may catapult us into increased productivity. Yes we may need to adjust the goal, the strategy or the path, but we won't be disappointed with the result if we persevere. The important thing to remember here is that taking the time for some personal reflection to allow insight to come through will probably lead to more acceptable changes and breakthroughs than an ill-conceived and hasty use of dynamite to create an explosion. You might think of it as a laser in the hands of a highly skilled surgeon. If you reach an impasse or feel frustrated today, try to find the most efficient way to move forward or even sideways. Yes – a different direction is likely your answer! Yesterday we ‘had fun' with the energetic square between Mars and Uranus. Are you up to a few more challenges? Hope so! What we have today is a pair of inconjunct aspects – also called quincunx. We often find this connection between planets irritating and annoying. Things just don't seem to be lined up or in synch with each other. However, if we take a step back and put our thinking caps on, we might find the common ground, or at least see how to accommodate two seemingly unrelated and conflicting energies as they manifest within our psyches and in our lives. The first is between the Sun and Pluto – which can feel pretty darn personal! Under the influence of the Sun in Leo we are doing our best to find our authentic voice and sing our individual song. Along comes Pluto in Capricorn appealing to our sense of wanting to contribute to the greater good in a more transpersonal way. It can be confusing! (I'm picturing Omar Shariff as the young Dr. Zhivago attempting to save his dignity and his family amidst the Russian revolution.) Like many astrological conundrums, we have to do both – express our individual gifts but be willing to offer them for the greater good. The second inconjunct is between love Goddess Venus, and the god of revolution – Uranus. This is likely to make us feel like we have conflicting goals and a bit unsure of how to proceed. We might be lusting after that fabulous recliner for the family room, but worried there won't be enough money for that spiritual retreat next month. Or even, ‘that puppy is adorable and I'd love to take him home with me, but how will that affect my ability to be spontaneous and jump on a plane for a much needed getaway? Generally we will likely be confronted with questions about how we indulge our wants, needs and desires and how they do or do not contribute to a sense of restriction or freedom in our lives. Finding the balance and accepting the necessary compromises is the key. If the past few days have taught us anything it might be to take the larger view and appreciate our life curriculums. Today we are probably feeling wiser and a bit more philosophical as the Moon slips into the 8th and final phase of its monthly cycle. Take a few minutes today and think about your personal life philosophy. Do you have a tag line or favorite affirmation or mantra? Share it with someone else and explain what it means to you and how you came by it. Cosmic soul mates Venus and Mars make a sweet connection with each other today – Venus in Virgo is private, unselfish and humble while Mars in Cancer is sensitive and caring. It certainly makes a good combo. Apply some of these attitudes to your own relationships and interactions today. With little fanfare the Moon quietly slipped into her home sign of Cancer last night. We may be ready for a quiet stay at home day today. The day is filled with lunar connections to planets, so emotional Cancer lives up to its name. Morning connections with first Neptune and then Saturn send us dreaming and searching for ways to make those dreams come true. A lunar connection with Jupiter around noon might inflate expectations and create a little melodrama. It's also an aspect of ‘hope' instilling faith in our ideas and dreams. A late afternoon opposition with Pluto could be jarring and a bit reminiscent of the energy on Thursday when the Sun connected with the great regenerator. For those up late night, a lunar Uranus square might provide a shock or two. Throughout the day we are reminded that breakthroughs are not only possible but to be expected. Broadening our perspective through quiet and alone time increases the possibility of understanding the power of opportunities presenting themselves. Don't let anything rain on your parade. Consider the beauty of the fireworks as we give ourselves permission to see and appreciate others as divine sparks of light without judgment. The moon moves quickly around the Earth. As a result, it moves the fastest through each sign of the Zodiac spending about 2.5 days in a sign before leaving to enter another constellation. Right before it leaves, when it is not connected to any other planets (by angle) it is considered Void of Course - or without direction. Sometimes this change of signs takes a moment, but on Sunday July 28, it will be void for nearly the entire day (until 9:43pm Pacific. Void of Course Moons affect people differently but there has been some observation that they have a surreal effect. Nothing seems to matter the way it used to - or conversely, things that had no meaning to you may suddenly seem important. Because they CAN be crazy making, we've extended our 6 hour Psychic Sunday Sale to a full 12 hours. If you are in need of support contact us at www.12listen.com. It's so secure, you'll may never want to leave. I've got a ton of astrology reports waiting for you to discover. I run them myself (so naturally I have a no-fault guarantee for typos and misprints). Being slightly OCD makes me want to get them to you ASAP so you rarely have to wait more than an hour but in extreme situations you may have to give me the full 24 hours. They are emailed to you and I'm right there to take care of any concerns. Click here to visit the site. Get a personalized Astrology Chart! If you've followed my column for a while, you know that I often grab pizza at one of those places that offers a “hot and ready” pie at a reasonable price. I love going there because it's one of the most fascinating places on the planet. I call it “The Pizza Theater,” because I see things so bizarre that it's hard to imagine them as anything but some sort of mystery play. This week, I went to pick up dinner. The place wasn't busy; no theatre today. I didn't mind though, because it's fun to just sit, think and relax. Anyway, I put in my order and had a seat. All the employees were young men. The fellow who waited on me, a boy with long blond hair tied in a ponytail, was busy darting hither and thither, preparing for more business. A radio blared an FM rock station. Only one track of the stereo channel worked, so they'd pushed up the volume. The rest of the crew, about 5 of them, were making pizzas and keeping busy. As I sat, vegging in my usual spot, the opening bars of one of my favorite songs by “The Who,” began. The song is called, "Behind Blue Eyes." For those of you who don't know it, it's a cryptic ballad that reflected the feeling of the time, although its meaning didn't become apparent to me until a few years ago. Those of us of a certain age and temperament remember it fondly. As I'm now a geezer, and as I was the only person in the place other than the employees, I sang along with Roger Daltrey, The Who's lead singer. I didn't worry about being too loud or too obnoxious, I just sang. I then noticed that I wasn't singing alone. I looked up and to my surprise, the young man with blond hair also was singing, although much more quietly than I was. He looked at me with surprise, as I probably looked at him with surprise. He stopped singing for a second, then started again. About this time, a couple came in to buy a few pizzas. I kept singing. They looked at me, nervously bought, paid and scrammed. As the song moved to a particularly intense part, I belted it out, as did the fellow behind the counter, as did all the guys in the back! What amazed me the most was that they knew the song at all. It's over 40 years old, but these “kids” didn't miss a word. The ballad ended and the employees all laughed and applauded. I asked the young man behind the counter how old he was. He told me he was 17. I thought for a moment, felt a wave of shock move through me, and then told him that I was his age when the song was released. He stared at me for a long time, took in whatever he was seeing in me and whispered, "wow." I then informed him that when the song had come out, I'd also worked in fast food, but at a Jack-in-the-Box and that I'd had to shove my long hair underneath my hat. By this time, all the workers had come to the front and were listening to our conversation. They began quizzing me about the meaning of the song, what it was like to have been in fast food in the early 70s, and what the world had been like back then. I felt as if I'd been a pioneer in a tradition of noxious nutrition that they were proud to carry on. We talked about music, working summer nights in a hot kitchen and how cool 1971 was. I have to admit, it was pretty cool. My pizza was ready. One of the fellows sliced it, boxed it and brought it up. I extended my hand to take it, but instead of giving me the box, he shook my hand. Another young man came up and shook my hand as well. In that moment, I looked at them and realized that we were the same, only in a different period. We stood on opposite ends of a rainbow of time. The majority of their lives lie ahead of them, while most of mine is behind me. I know these boys. I saw myself standing with them, 17 years old, peach-fuzz growing on my face, hair tucked underneath my paper hat, greasy clothes and a big, innocent grin on my face. Little did I know the journey that awaited me. Little can they know where their lives will take them. In that instant, I wished them happy, peaceful lives and unbounded joy. I prayed they'd find wonderful blessings, like those I've been lucky enough to receive. I wished them the tenacity to discover their true path and to have the courage to follow it with confidence and success. Most of all, more than anything else, I wished them lives filled with love. I marvel at time and how quickly it moves. I left my new friends with a wave, a pizza and a happy heart. Even though they forgot the pepperoni, it turned out to be one of the best pizzas I've had in a long, long time. CLASS NOTE: Class 2 of Developing Inner Vision for a Better Command of Life will be given on July 31, 2013 at 4 PM, Pacific. If you can't make it live, you'll still get the class as an mp3 if you register. Click here to register. 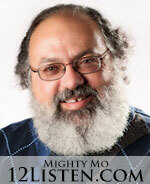 Program Note: Out of Mo's Mind will air at 9 AM, Pacific, Wednesday at 12Radio.com. Oh what a beautiful morning it'll be. There'll be a bright, golden haze on the meadow with corn as high as an elephant's eye. Chicks and geese and ducks gonna scurry. Now, I don't have a surrey, with or without fringe, but if I did, I'd certainly try to avoid poultry. LIVE! Plus predictions. Remember, I'm an advisor at 12listen.com and would love to be of service. Get the Perfect Launch Report! Visit me at Facebook.com/MoTarot I'd love to hear from you! Wow, what a week! No less than 4 of my clients and two close friends announced in the past week or so that they are getting a divorce. In every case it is a good thing, relationships that have fizzled out over time and thanks to Mercury's tremendous power of introspection they were able to admit that things just don't fit anymore. This avalanche of change is amazing and freeing and gets me thinking about the energetic dynamics of relationships. When someone asks me if a relationship is going to work the first thing I look for is an energetic match between the two people. This match occurs in the Heart Chakra and essentially means that the two energy bodies vibrate at the same rate. When you are an energetic match with someone you feel a sense of familiarity when you meet them. For example, when you meet someone for the first time but feel as though you have met before, this is an indication of an energetic match. This familiarity turns into attraction, reminding you over and over that your energy bodies vibrate at the same rate. It is a magnetic feeling, drawing you closer and closer to the other person. Our energetic vibration is not fixed. As we learn and grow so does our vibration. Sometimes two people who started out as a match in the beginning of their relationship will grow in different directions. Over time their vibration will grow further and further apart. This can cause an end to the relationship or it can cause a crisis in the relationship where the two people choose to come back together. This can occur over and over again. Vibration is not the only factor in the success of a relationship, but it is an indicator of the health of a relationship. When you are an energetic match with your partner you work together as a team, your energy blending together into one united front. The farther apart your vibrations become the more you will fight against one another. If your relationship is struggling, reach out from your heart to your partner's heart and see what you feel. Does the energy flow together, or does it push back like magnets pointed the wrong way? You can repair energetic discord and return to a match with some work and intention. Physical closeness is key to maintaining an energetic match. Daily physical contact is very important. Remember to hug and kiss and hold hands. This causes entrainment (or alignment) in the Heart Chakra. Be intentionally supportive of the other person's choices and opinions. Pay attention to patterns of behavior in yourself. Do you tend to disagree most of the time with your partner? Has this become a habit that you perpetuate without thinking? Consciously choose your responses, aligning yourself with them. Choose a project, cause, or job to do together. Be intentional about uniting as one to complete something together. As you work side by side your energy will begin to match up, repairing the discord. Spend time with couples who have healthy energetic matches. When it comes to energy, "like attracts like." Give yourself good examples of how you want your relationship to be. Remember that in some cases the discord cannot be repaired and it is better for both of you to move on. This is a healthy move for both people and creates a sense of freedom and relief. It is OK to feel good about leaving a relationship that is no longer an energetic match for you. As Mercury turns direct I hope your time of introspection was fruitful and now you are ready to act upon your new found sense of yourself! Oh we are complicated and wonderful animals! Each week Carolyn Ferris will pull from her hand designed Tarot cards to reveal a message for us. 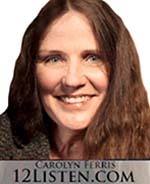 Carolyn has been a psychic for many years and has a substantial amount of notoriety with her art. She has created art for many clients such as Timothy Leary, Santana, The Fillmore, and Moonalice. Her artwork can be viewed at her web site www.intuitivereadings.com! YES- she draws every one of them! NEW: THIS IMAGE IS FOR SALE: EXCLUSIVE PRICING FOR POWER PEEK READERS! That's right, Carolyn is selling GlCLEE prints at a remarkable price for Mark's Power Peek readers. Each sale lasts one week. Click here to order or see details! The balloon is flying from the flood of the chaotic world. Ostrich looking into the world of possibilities. Love birds are waiting at the ark stop to sneak onto the single's cruise. Stretch your world to find some fresh opportunities. Consider a trip for yourself, even if it is simply time out for a weekend or a day. Allow new friends into your life. Get on board and create some wild and fun adventure! Get a reading from Carolyn!